Tranquil and beautiful waterfall photography. The Palouse Falls lies on the Palouse River, about 4 mi (6 km) upstream of the confluence with the Snake River in southeast Washington, United States. The falls are 198 ft (60 m) in height. The falls consists of an upper falls with a drop of ~20 feet (6.1 m) which lies 1,000 feet (305 m) north-northwest of the main drop, and a lower falls, with a drop of 198 feet (60 m). The canyon at the falls is 115 meters (377 feet) deep, exposing a large cross-section of the Columbia River Basalt Group. 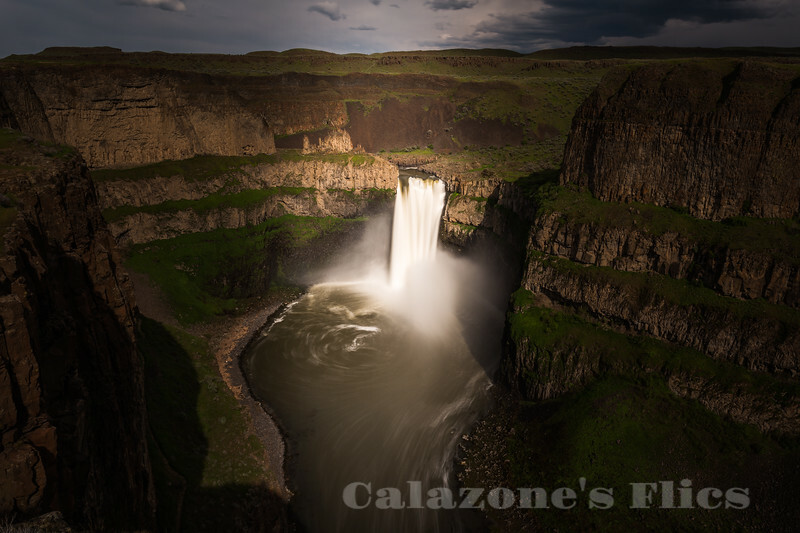 These falls and the canyon downstream are an important feature of the channeled scablands created by the great Missoula Floods that swept periodically across eastern Washington and across the Columbia River Plateau during the Pleistocene epoch. The ancestral Palouse river flowed through the currently dry Washtucna Coulee to the Columbia River. The Palouse Falls and surrounding canyons were created when the Missoula Floods overtopped the south valley wall of the ancestral Palouse River, diverting it to the current course to the Snake River by erosion of a new channel. The area is characterized by interconnected and hanging flood-created coulees, cataracts, plunge pools, kolk created potholes, rock benches, buttes and pinnacles typical of scablands. Palouse Falls State Park is located at the falls, protecting this part of the uniquely scenic area.